Turnips! When’s the last time you saw someone go wild over a turnip? It’s been some time, I’d wager. One of the less popular root vegetables, people have been growing them for something like the last 3500 years, and within that stretch someone’s been jazzed about them about 15 times. Usually you see the opposite sort of reaction, and indeed a short time ago a pair of respected associates were on Twitter disparaging turnips. I’ve never been a big fan of the turnip, but it happened to strike me that maybe they might make some fine sandwiches, and so I set to work. Roasting the turnips seemed the natural move to me, as it leaves you with a better flavor than boiling them, and removes the work of changing water mid-cooking. The turnip is a starch, of course, and that makes it a tricky thing to work with. There are some good sandwiches with fried potatoes in them, but in general adding such a thing throws off the starch-something else-starch balance that is the sandwich. So I figured if I was going to work with turnips, I had to include some rather large flavors to prevent a bland, starchy experience. That meant some smoked herring fillets, which have a heavy smoke, distinctly fishy flavor. So now I had the turnips, which bring a woody, earthy flavor, and smoky fish. I thought something sweet might play well in there, as smoke and sugar tend to pair exceedingly well, in barbecue and elsewhere. Caramelized onions are my go-to move for sweet on a sandwich, but I thought I might take it a step further for this occasion and I cooked up a batch of onion jam. Recipes vary, but in this case it was mostly a few pounds of onions cooked down in a couple cups of red wine and a honey gastrique. So the turnips, fish, and onion jam went down on some pretzel bread with a bit of horseradish mustard, and that was that. I liked this sandwich quite a bit, but I’m not so sure that was about the turnips. The onion jam was delicious, I like canned fish, and pretzel bread is always a nice change of pace. This was quite good, and the turnips were a part of that, but they were hardly the star. My second attempt aimed for more simple ends. A New York strip steak, thinly sliced, salted and peppered and thrown in a skillet for just about a minute, went over some roasted turnips and under some provolone. 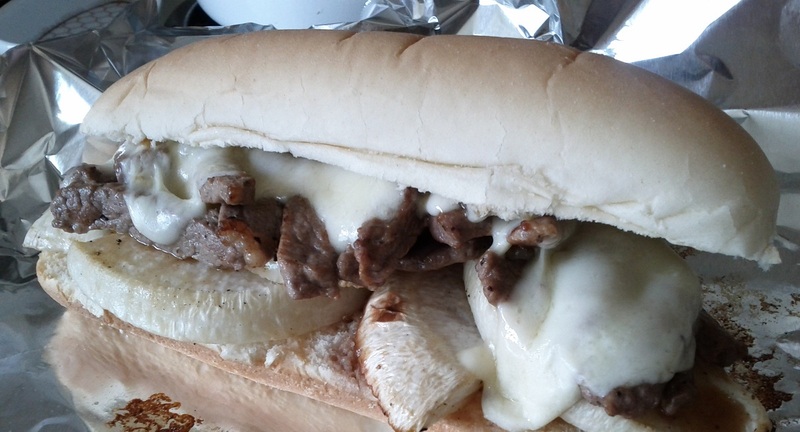 Melted under the broiler, the whole thing came together as a fairly standard cheesesteak sandwich, except it also included turnips. I can see some cheesesteak aficionado not caring for what I did here, but I was quite pleased with it. The steak and the cheese are each assertive enough in flavor, but neither so much that they might drown out the turnips. Instead, the turnips give an extra dimension to what can easily be a fairly flat sandwich, and I thought it was quite welcome. Finally, I wanted something without meat. I’m celebrating a root vegetable, it would be downright negligent of me not to include something my herbivore associates can enjoy. I’ve still left the vegans in the cold, but this one is easily adaptable to their needs. For the third sandwich, I cut some heirloom tomatoes into slices about as wide as I had the turnips and gave them the same treatment, a stretch in the oven to boost up their sugars and break them down a bit. I’ve had my own issues with tomatoes before, but going heirloom helps make the most of things. 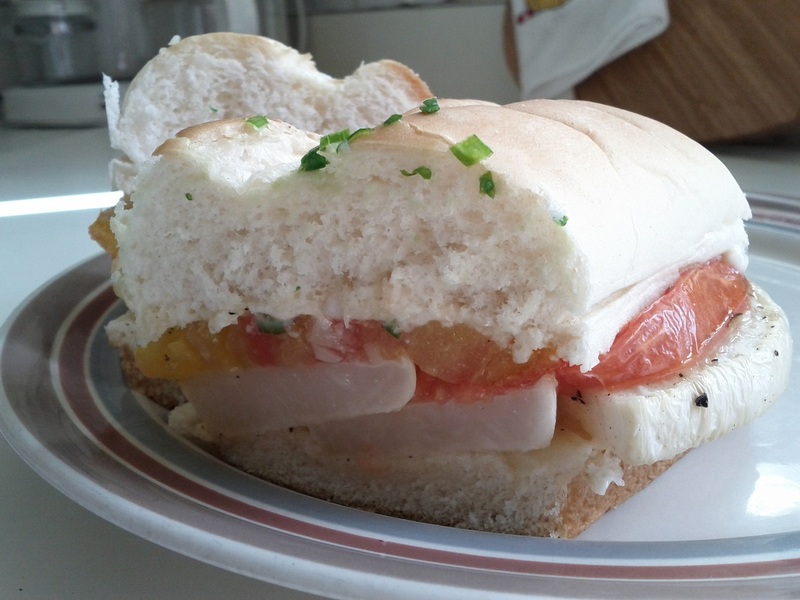 Roast tomatoes and turnips isn’t quite enough for a sandwich, so I roasted some garlic as well and combined it with some minced scallion into a compound butter, which was spread on both sides of the sandwich. This one was a bit of a mess to eat, as the tomatoes had little structure left, but that didn’t prevent it from being all sorts of tasty. The garlic, tomatoes and turnips all have their own sweetness, with varying levels of subtlety, and it was a delight to have them working together. 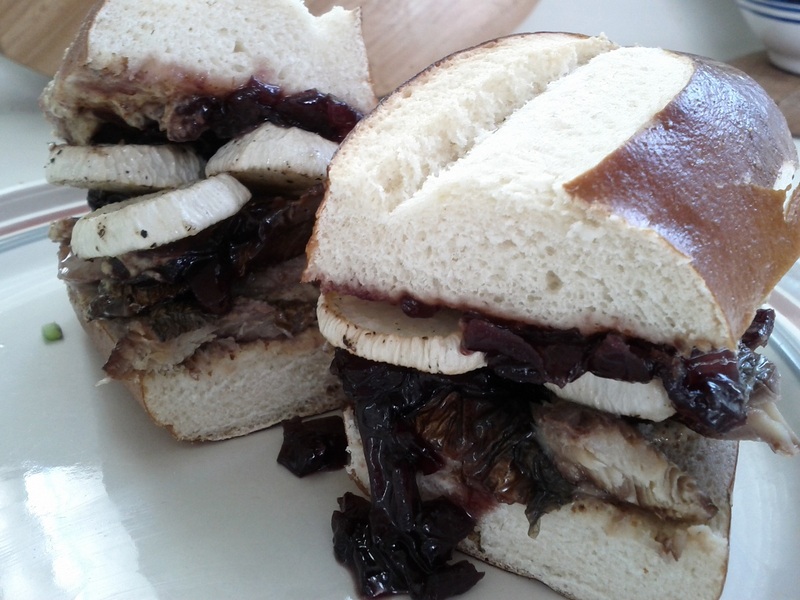 This was rich, vibrant, and the turnips helped establish the sandwich as substantial. If you’ve got no love for the turnip, I can’t imagine the above would sway you. But if you’re just not sure what you might do with them or why they might be enjoyable, I hope I’ve laid out some things that you might find intriguing. Turnips! If they were good enough for 1500 BC, they’re good enough for you. This entry was posted in Sandwich Reviews and tagged Beef, Fish, Reviews by Pete, Sandwiches I Have Made, Vegetarian by Pete. Bookmark the permalink.